Due to recent mergers at participating firms, the Accounting Internship Scholarship Program for 2017 has been suspended. We are in the process of reaching out to other firms that may have an interest in joining the program; however, the timing does not allow us to offer the program for the coming summer. We appreciate your interest in the program and will update our website for future developments. This entry was posted in Uncategorized on February 14, 2017 by AISP Coordinator. 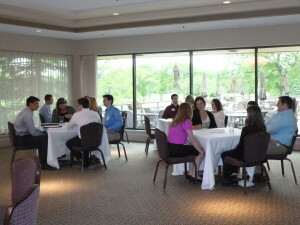 Accounting Intern Scholarship Program Completes 4th Successful Year! 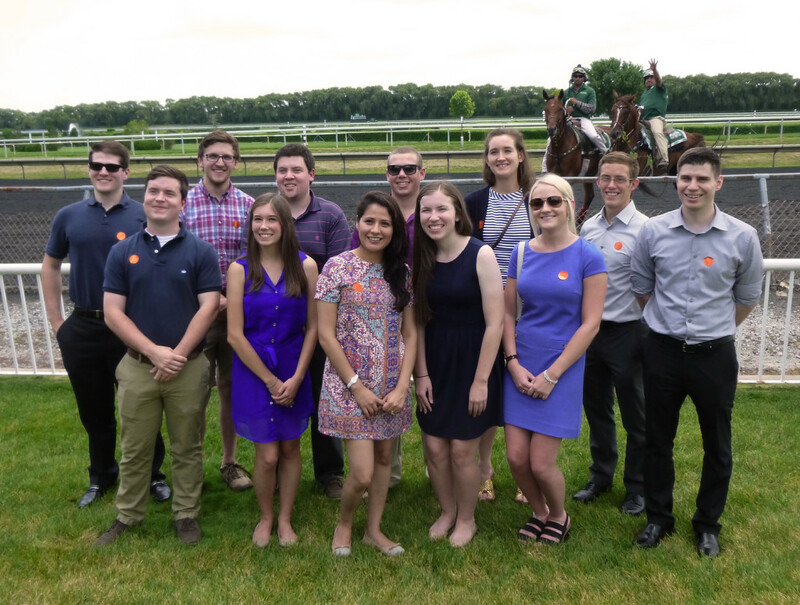 To celebrate the completion of AISP’s fourth year on July 23, 2015, the twelve interns joined representatives from all six participating firms at Arlington International Racecourse for an afternoon of fun and networking. The firms will begin contacting interns for interviews next week. 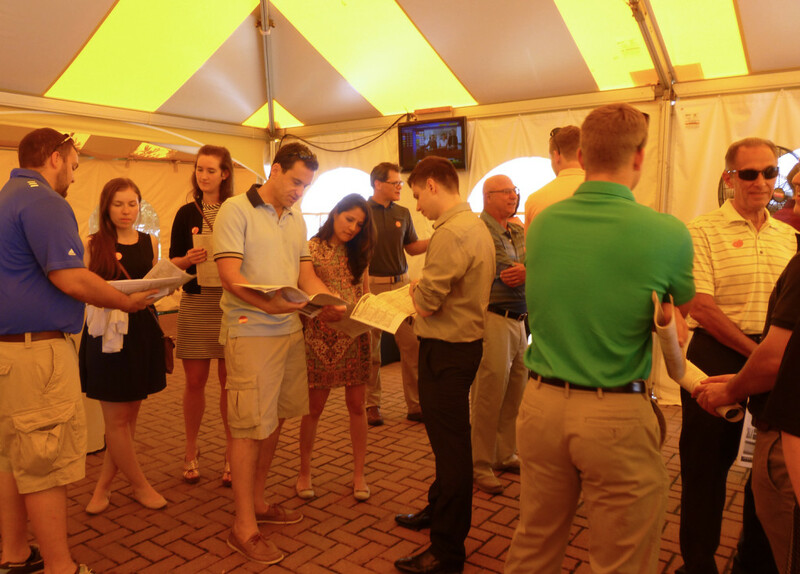 The interns were able to visit with staff and partners from all six CPA firms–and get some suggestions on which horses to pick. (l-r) Thomas Dubinski, Liam Mundt, Michael Pawlicki, Julie Cukla, Daniel Austin, Patricia Greenfeld, Aaron Feld, Caroline Cunningham, Tara Cloonan, Emily Mortimer, Dylan Creger and Stilian Pironkov. This entry was posted in Uncategorized on July 24, 2015 by AISP Coordinator.